It was public TV’s first unqualified national success, a smash hit. Before Masterpiece Theatre, American Playhouse or Hollywood Television Theatre, there was An Age of Kings, Shakespeare’s history plays in 15 parts, a chronicle of Britain’s monarchs from Richard II (1399) to Richard III (1484). One element of An Age of Kings that received only faint attention at the time was in some respects its most important in the history of public broadcasting: it was the first nationally distributed noncommercial series to receive support from a commercial source, the Humble Oil and Refining Co. (marketer of Esso gasoline, later renamed Exxon). Brice Howard, a well-known public TV producer and executive for NET, KERA and KQED, bought the BBC’s An Age of Kings for NETRC. It was the first of many acquisitions of British programs — dramas, documentaries and light entertainment — that would define American noncommercial TV programming for decades, generating both praise and scorn. The BBC broadcast the series in 1960, the year it was sold to American educational television. That year it was also seen on commercial TV in New York and Washington, D.C., where public TV had not yet been established. An Age of Kings was a remarkable tour de force. Shakespeare’s full history cycle had been produced in London’s Old Vic Theatre between 1955 and 1960. Before that it had not been seen in its entirety since 1905, when all the plays had been produced in one week at Stratford-upon-Avon. BBC producer Peter Dewes assembled a small repertory company of 15 actors, a group that was augmented as the scripts required. The leading roles were contracted out to more experienced actors, but not “stars.” Stanley Morris designed a set that could be modified with projected images. Michael Hayes directed the plays, and original music was composed by Christopher Whelen. A montage of heraldic banners opened each episode. The production was swiftly paced and had an authentic look. The cast of Henry V had “pudding basin” haircuts that gave way to thick long manes in later programs. However hastily created, the filmed background projections worked wonderfully well. Images for the Battle of Shrewsbury were shot in a farmer’s field, made grim by long black plumes from smokebombs. The Battle of Bosworthùwhich takes place in a bog — was staged in a studio where the set decorators had mixed mud, water and peat in an area of just 16 by 20 feet, but in the tightly shot Bosworth sequence, disbelief was quite adequately suspended. In his San Francisco Chronicle review of the first program, Terence O’Flaherty remarked that “the series is performed by a group of young actors from the English stage.” Frank Baxter, host of the series, refers to them as “provincial actors,” saying that this explains their lack of mannered speech. Neither Baxter nor O’Flaherty could hardly have foreseen the fame that awaited some of those performers — the young Sean Connery, for example, who played Hotspur in the first four programs, or Judy Dench, who played Catherine, Princess of France. One of the most appealing features of the series was the introductions and closing comments by Frank C. Baxter, a professor of English literature at the University of Southern California. A man of extraordinary energy, intelligence and wit, Baxter had almost single-handedly created the concept of “educational television” with his earlier CBS series, Shakespeare on TV (Current, Jan. 29, 1996). An American graduate of Cambridge University, he had been teaching at USC since 1937. By the time he became host of An Age of Kings, his series Harvest (TV essays on a wide variety of subjects), The Written Word (a history of writing) and his series of Bell System-sponsored science specials had brought him a Peabody Award, five Emmys and national recognition. It was Baxter who had set the scene when Laurence Olivier’s Richard III premiered on commercial TV. Throughout the run of An Age of Kings, NETRC publicity underlined the programs’ uplifting values even as the audience reveled in the rip-roaring dramas. “Insofar as we are able,” one press release solemnly pronounced, “cultural phenomena peculiar to the time and environment will be . . . explained, and significant themes will be explored wherever appropriate.” Baxter, the man chosen to straddle this education/entertainment abyss, was an inspired choice. He was an instant hit. NETRC announced that “Dr. Baxter will provide animated, informative and far from pedantic commentary on the historical, geographical and genealogical backgrounds of the plays” — a considerably understated description of the professor’s theatrical proclivities. His comments, produced by Gerry Marans in the studios of KQED, San Francisco, reminded many of their very best college teachers. Although Baxter used diagrams, charts and other “visual aids” (all of which he created himself), it was his intellect, articulation and prodigious memory that enthralled viewers. When he talked about the personalities and relationships of the plays’ principal characters, his descriptions included the way Shakespeare saw them as well as how they were recorded by history. His explanations of court traditions were as masterfully lucid as his descriptions of costume details. He mesmerized his audiences and became the darling of TV critics. “When Warren Kraetzer and I met with the Humble Oil people in Houston, they said, ‘Wouldn’t it be great if we could get Frank Baxter?’ We agreed immediately.” This is the recollection of Nazaret (“Chick”) Cherkezian, interviewed in fall 1995, not long before he died of a brain tumor at age 72. He and Kraetzer were central to finding financial support for An Age of Kings. They convinced Humble Oil executives not only to buy national rights for the series but also to pay for promotion and publicity. In our conversation, Cherkezian remembered the rights costing about $250,000. This bargain was possible in part because the BBC was eager to have its programs better known in the U.S. It was found, Day reminds us, in a Cripple Creek, Colo., saloon where Max Morath pounded out rags on an upright piano. Jim Case, a producer at the new public TV station KRMA in Denver, converted Morath’s music and patter into a series indisputably American, and greatly entertaining. The Ragtime Era [Current, Sept. 30, 1996] walked through a door to the nation’s applause, a door that had been opened, somewhat improbably, by An Age of Kings. That public television had its first national success with a British series was not lost on those in American noncommercial TV who had the greatest purchasing power. Before memories of An Age of Kings faded, The Forsythe Saga, a serial adaptation of John Galsworthy’s novel, was imported and ran to great acclaim. Much later, an adaptation of Evelyn Waugh’s Brideshead Revisited, likewise produced in England, became something of a cultural phenomenon. WGBH’s Masterpiece Theatre provided a regular vehicle for drama imports, punctuated by lengthy, and extremely popular, serials such as Upstairs, Downstairs and The Jewel in the Crown. Mystery! created a space for (largely British) whodunits. And the importers did not overlook comedy; they made hits of Monty Python’s Flying Circus, Fawlty Towers, Are You Being Served? and other Britcoms. Some U.K. influence upon U.S. production substance and style was reflected in documentaries. 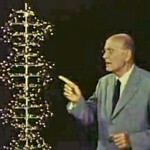 Nova, an American program invention [Current, May 4, 1998], was based largely on the BBC’s Horizon documentary series with which it subsequently shared programs. And the format of Nature was pioneered by such producers as Mick Rhodes and David Attenborough at the BBC’s natural history unit in Bristol. But it was the imported dramas that took a prominent place in the image of American public television, though they played a much smaller role in numbers of broadcast hours and had even less effect on American production style. Indeed, their influence on American productions was almost nonexistent. The most common explanation for the success of British drama is that BBC dramatic production budgets were large, and American public broadcasters could never muster that kind of support. Perhaps. But a far likelier reason is the difference between British and American theatrical traditions — the environment in which actors, writers, producers and directors work. Although such differences have narrowed, British theatrical professionals have more opportunity and inclination to move among the media. Alan Bennett, one of Britain’s foremost writers, creates plays for stage, films, TV and radio. His Talking Heads series, well received when he adapted the plays for TV, was originally created for radio. He writes, acts and directs in several media. Until recently, British writers have been offered remarkably broad opportunities in radio, a medium all but abandoned for drama in America since Yours Truly, Johnny Dollar left the air in 1962. A visitor to London is apt to encounter the same actors in daytime broadcasts who show up on stage that night that night in the West End. The profession resembles a large multimedia repertory company, and it has nurtured British theatrical talent throughout this century. For many years, a substantial number of Britain’s most imaginative TV producers and writers have emerged from liberal arts colleges and universities, notably Oxford and Cambridge, where future program creators study history, math, literature and philosophy, instead of “telecommunications” and other “practical” courses. This has added depth to subsequent opportunities for broad experience in the British entertainment industry. When American public TV seriously attempted costume drama (WGBH’s The Scarlet Letter and WNET’s The Adams Chronicles come to mind), the results were disappointing. And the idea of “humor-impaired” American public TV producing a comedy as hilarious as Fawlty Towers is, well, laughable. In organizational style the BBC and American public TV continue to seem an ocean apart after nearly 40 years of program sales and co-productions (“Our production,” as the BBC used to say, “and your money”). At the time when An Age of Kings was produced, program executives working for the BBC — then the only broadcaster in Britain and a recognized program force worldwideùcould afford to be smug about their unique position. It was an attitude many did not deny and some fostered. Like Professor Higgins in Shaw’s Pygmalion, a man who could not understand why women could not act more like men, BBC broadcasters were petulantly frustrated by the emerging public TV service in America: a tax on radio and TV receivers was such a simple way to support public broadcasting, why didn’t the Americans just do it? (Many Americans asked the same question.) For decades, U.S. public broadcasters working with their British counterparts were frequently exposed to exasperated and patronizing observations from British counterparts. Few of our British colleagues fully appreciate the strength of U.S. public TV’s ties to its decentralized, educational roots. It was America’s educators who led the fight for channels to be reserved for noncommercial use. And though NET and then PBS brought greater coherence to public TV’s programming, local program judgments continue to dominate the system to a degree most foreign broadcasters find unimaginable. But many of their well organized and handsomely supported national public TV systems have collapsed in the past decade, or have become de facto commercial operations when their governments decided they had grown too expensive. In the same period, when some U.S. legislators spoke confidently about “zeroing out” public TV, their political miscalculation swiftly became apparent: their constituents arrived in Washington to defend, not CPB or PBS but their local stations. It seems doubtful that a more conventionally structured, centralized system could have mustered a similarly effective response. Public TV’s early “converted” audience has grown enormously since An Age of Kings. Most of its viewers moved on, gathering demographic strength, to additional costume dramas — lots of themù as well as The Great American Dream Machine, The French Chef, Nova and The Civil War. Children raised on Sesame Street eventually migrated to Great Performances and Frontline. Over a remarkably short time, these programs have created a special TV culture absorbed by America’s wider cultural life. Production standards have remained surprisingly high considering the uneven financial support. This is, I believe, the result of viewer expectations generated and nurtured by British programs. There were few attempts to copy them, thankfully. That would have been neither desirable nor possible. But for nearly four decades the strong British program presence in American public TV’s national schedule has demonstrated excellence that invites audiences to watch the next program. In broadcast terms, this may be the most benign and effective influence that program producers in one country can exert on those in another. Like Norman Corwin, the exceptional radio producer profiled in the last issue of Current, Frank Baxter had his great broadcast successes on the cusp, just before his medium became too commercially successful to continue airing the kind of programs that made Corwin and Baxter famous. Both were forerunners of today’s public broadcasters.